Child custody is often the most contentious issue in a divorce. Spouses who are otherwise entirely reasonable can let their emotions get the better of them when discussing their children’s upbringing. Minor differences in parenting styles can become crises to resolve. Then, there are the rare, irrational spouses who use their children to hurt their ex without thought to the emotional consequences. 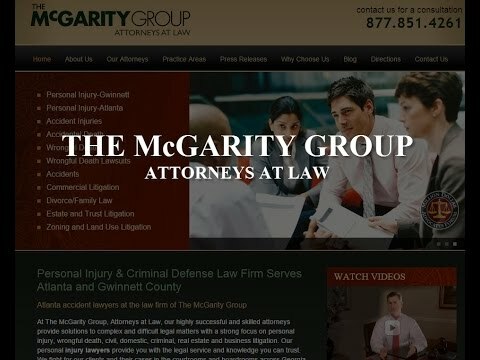 At McGarity and Efstration, we have experience in in a wide variety of custody disputes. We apply reason and work diligently for your child’s best interests as we seek a parenting plan that protects your parental rights. Sole physical and legal custody — One parent provides the home for the child and makes all decisions for the child’s health and welfare. The noncustodial parent is limited to visitation. Sole physical and joint legal custody — One parent provides the home, but parents make decisions together about the child’s upbringing. Joint physical and sole legal custody — Each parent provides a residence for the child with exchanges on a regular schedule, but one parent makes decisions for the child’s upbringing. This arrangement is generally limited to situations where a child has special needs and one parent has specialized knowledge of the condition. Joint physical and legal custody — This is the classic 50-50 split. The child lives half of the time with each parent, and the parents make decisions together about the child’s upbringing. The court can rule that parents will have joint legal custody, but one parent will have final decision-making power over certain issues, or assign decisions to an arbiter. Children age 14 or older who have sufficient maturity can make a custody election about which parent they would prefer to live with. Our divorce lawyers work diligently to craft parenting plans that advance your child’s best interests, allow you frequent and meaningful contact for maintaining a loving relationship, and fit your individual lifestyle. Child custody disputes can take an emotional toll on you and your children. At McGarity and Efstration, we work to reduce your stress and anxiety as we negotiate a parenting plan that meets your needs. To schedule a consultation with an experienced divorce lawyer, call our Buford or Braselton office today at 877.851.4261 or contact us online.